Another great NYC find, this Topshop blouse combines two of my favorite things right now: polka dots and black + white. The polka dots add a little pizazz to a basic blouse but the black + white is totally on trend for spring. The next time I wear it I want to pair it with a bright shade like red or green to shake things up. Really adore the textures you have going on here – and that bold lipstick is fabulous on you! 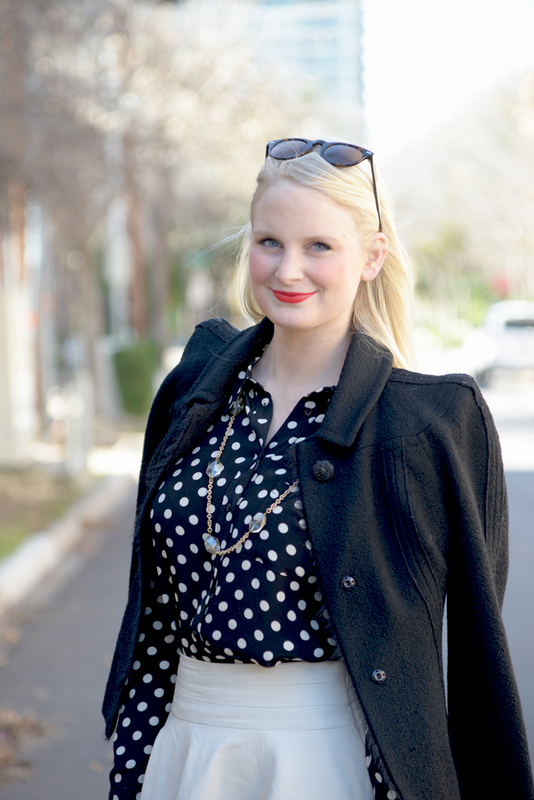 Love the combination of the black & white polka dots and the bold red lip! So classic! it’s awesome – it’s going to be perfect at the beach! LOVE it! You look so classic!